New data about mysterious mathematical signals from deep space called 'fast radio bursts' offer new clues about their origin. 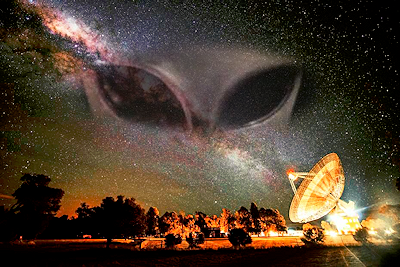 For about the last decade, scientists have been detecting strange signals called "fast radio bursts" (FRBs) from deep space that have a suspicious mathematical pattern. The pattern is consistent enough that some scientists have even speculated that the signals may have a technological origin. In other words, it's possible they could be signals from aliens.